Stocks sank Friday after President Donald Trump announced tariffs on aluminium and steel are coming. 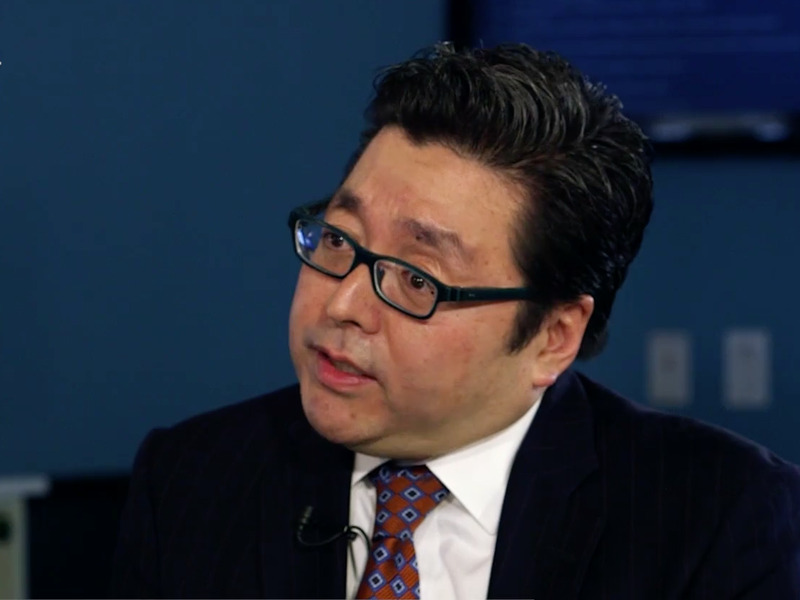 “We think equity markets might have ‘over-reacted’ to recent developments,” said Tom Lee, the co-founder of Fundstrat. He notes the dollar and gauges of stock-market volatility, although weaker, are still relatively stable. Stocks erased their gains for the year after President Donald Trump unexpectedly announced tariffs on steel and aluminium imports. There’s widespread concern about the uncertainty surrounding a trade war: retaliation from America’s trading partners that could impact products ranging from orange juice to motorcycles. But according to Tom Lee, co-founder of Fundstrat, the sell-off is overblown. 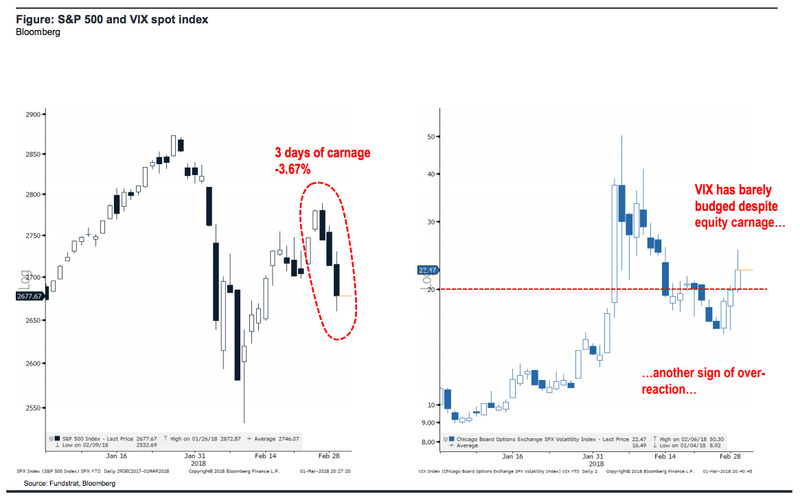 “Equity markets are over-reacting-hence, we are aggressive buyers of this dip,” Lee said in a note on Friday. In fact, companies with low foreign sales as a share of their total and those that with low sourcing of parts internationally have low exposure to a trade war. They include precious metals and minerals and coal, Lee said. To begin with, the magnitude of this week’s sell-off is unusual, Lee noted. As of Friday morning in New York, the S&P 500 had fallen 4.64% in the three previous days, or 3.7% based on closing prices. That’s only happened 2.5% of the time since 1928, he added. Ryan Detrick, a senior market strategist at LPL Financial, gave more context to the outsized move. He tweeted that in the four days through Thursday, the S&P 500 shed more than 1% for three straight days and was positive once; this has only happened twice before, in October 2008 and October 2002. 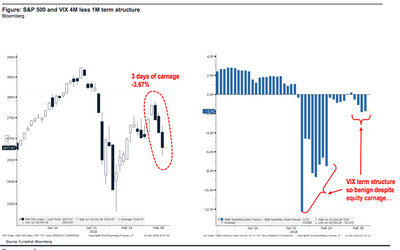 The other measures Lee references include the CBOE volatility index, or VIX, the so-called fear gauge that reflects traders’ expectations for stock-market moves. The index rose to as high as 25.99 on Friday, up from 15.80 on Monday, before the market started selling off. However, fears of a trade war and the resulting uncertainty should have triggered a bigger move, Lee said. The economic risks of a trade war are real, Lee noted. “Up until now markets have been fairly unresponsive to US trade policy news and actions so we might be seeing markets effectively catching up with reality,” said Jeremy Lawson, the chief economist at Aberdeen Standard Investments. However, the fallout of a trade war would be offset if the Fed slowed down its exit from post-recession policies. 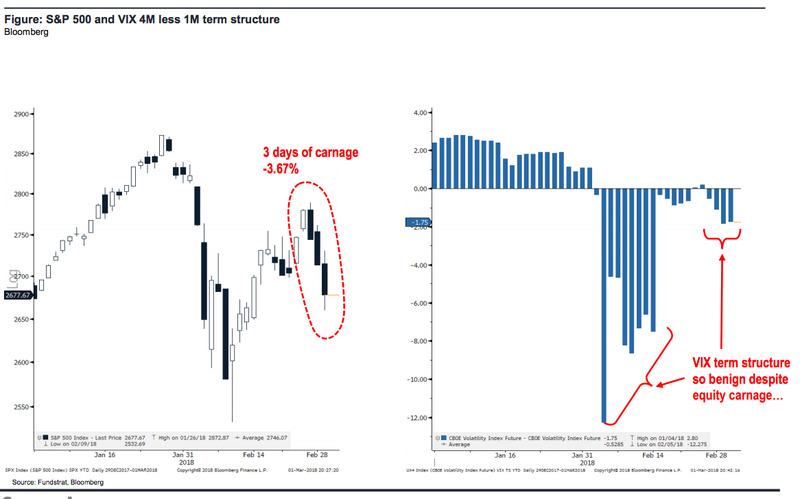 Lee further noted currencies should be moving a lot more on fears of a trade war. The dollar, however, is “snoozing.” The US dollar index, which measures the dollar against a basket of major currencies and trading partners, is down about 0.7% since Thursday, when Trump first announced tariffs. Lee compared its move to the mid-February fall, as global markets were rocked by fears of rising inflation. Although the focus is now on a trade war, markets swooned earlier in the week when Federal Reserve Chairman Jerome Powell said in congressional testimony his personal outlook for the economy had improved since January. Investors viewed this as hawkish, and raised speculation about four interest-rate hikes this year instead of three.